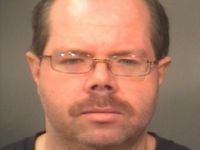 Police in Indiana have arrested a 39-year-old man on accusations that he coerced hundreds of teenage boys into sending sexually explicit pictures of themselves. Richard Leon Finkbiner, of Brazil, was taken into custody earlier this week in what authorities are saying may be the largest case of it's kind in United States history. Finkbiner is accused of targeting boys between 14 and 16.